Cenovus Energy Inc. shares increased nearly seven per cent after the oilsands producer said it signed three-year deals with Canada's major rail companies to move 100,000 barrels per day of heavy crude oil by rail. The Calgary-based company's shares gained 81.5 cents or 6.8 per cent at $12.825 in late-morning trading on the Toronto Stock Exchange. Chief executive Alex Pourbaix said after markets closed on Wednesday the deals will allow the company to go around clogged pipelines that are linked to multi-year high discounts in prices for Canadian heavy oil versus New York-traded benchmark crude. Cenovus says it has struck a deal with Canadian National Railway to move oil from Cenovus's terminal northeast of Edmonton and with Canadian Pacific Railway through USD Partners' terminal in Hardisty, Alta. Transportation from both is to start in the second quarter of next year and ramp up through 2019. Cenovus says it is expecting all-in costs to transport the oil from Alberta to the U.S. Gulf Coast in the mid- to high-teens in U.S. dollars per barrel — rail is generally more expensive than shipping by pipeline. 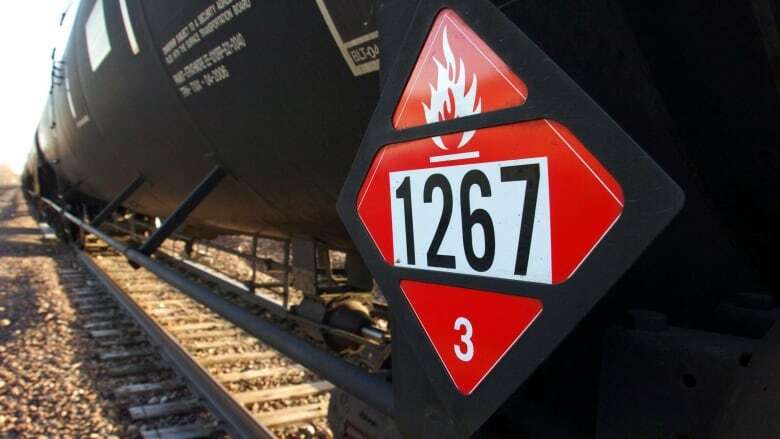 The National Energy Board reported that crude-by-rail exports from Canada rose above 200,000 barrels per day in June for the first time, up from about 110,000 bpd 12 months earlier. "Our rail strategy provides a means of mitigating the price impact of pipeline congestion," said Pourbaix. "While we remain confident new pipeline capacity will be constructed, these rail agreements will help get our oil to higher-price markets."